Mbabula denies inconsistent statement regarding his appointment - SABC News - Breaking news, special reports, world, business, sport coverage of all South African current events. Africa's news leader. Fikile Mbabula sought to clarify what appeared to be a contradiction. Former Sports Minister Fikile Mbabula denied being inconsistent when he told former Public Protector Thuli Madonsela that it was former President Jacob Zuma who had contacted him about his appointment as minister. In the evidence from the Madonsela, Mbalula only speaks of communication from the former President and the Presidency. 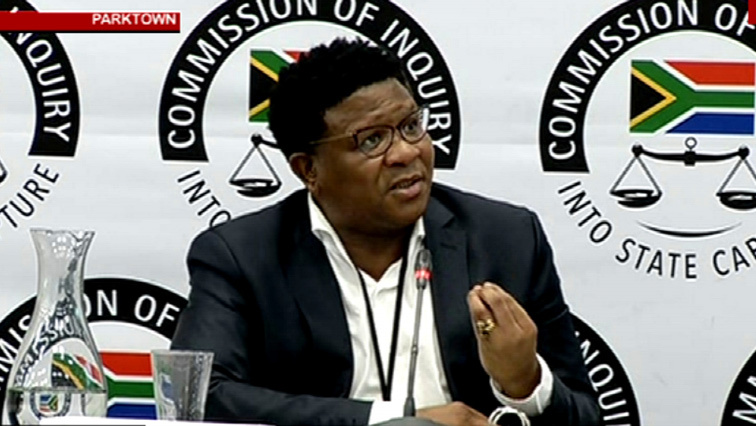 But his evidence at the Commission of Inquiry into State Capture in Parktown, Johannesburg, Mbalula says it was Ajay Gupta who first informed him of his new position. Mbalula sought to clarify what appeared to be a contradiction. “That is the context that I was dealing with in the Public Protector to explain that it is the President who appointed me as Minister of Sports and I was contacted by Lakela Kaunda. The Commission of Inquiry into State Capture has adjourned until Monday morning. Earlier, former Sports minister said he did not think the revelations coming out of the commission would hurt the ANC at the polls. Mbalula – who’s also the party’s Head of Elections – wrapped up his testimony. This entry was posted on 22 Mar 2019,02:48PM at 2:48 PM and is filed under Politics. You can follow any responses to this entry through the RSS 2.0 feed. Both comments and pings are currently closed.